What are emotional triggers? They are those super-reactive places inside you that become activated by someone else’s behaviors or comments. 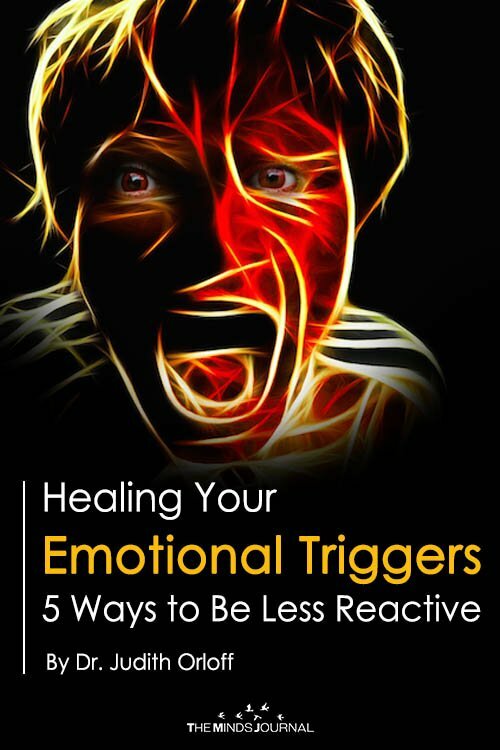 When triggered, you may either withdraw emotionally and simply feel hurt or angry or respond in an aggressive way that you will probably regret later. Your reaction is so intense because you’re defending against a painful feeling that has surfaced. For instance, if a co-worker says, “You’re not smart enough to apply for that great job” or a relative says, “You’re too old to find a mate” you become triggered. You get upset, doubt yourself, and feel inferior or even wrongly think that you’re “over the hill.” (There is no “hill to be over.”) On the other hand, if you thought, “That’s ridiculous. Of course I’m qualified for the job,” or “No matter my age, I can find a wonderful mate” you’re not in a triggered state because you recognize your true worth. 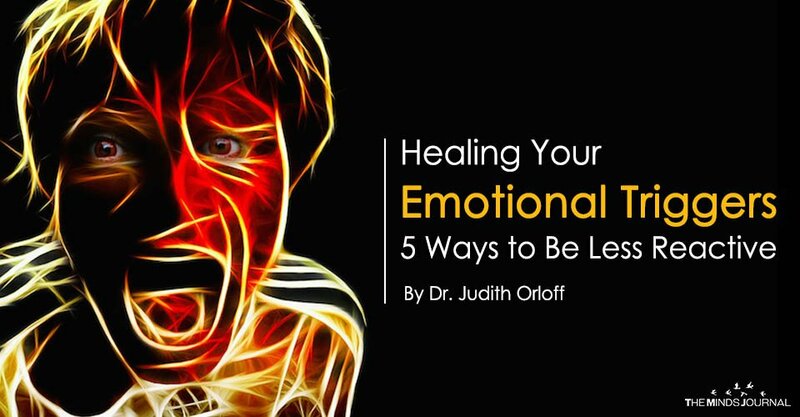 Your emotional triggers are wounds that need to heal. These beliefs are based on fears—they are not reality. You don’t want to be frequently triggered. It is exhausting and painful, especially for highly sensitive and empathic people. To heal emotional triggers, begin to compassionately examine and shift any beliefs that you’ve carried around from your family or society such as “I am not smart enough” or “I’m too sensitive.” You need to gently address the parts of yourself that feel flawed or have self-doubts about your body-image or your worthiness to find a partner. When you heal the initial trauma or false belief, you set yourself emotionally free. Then you won’t become as easily triggered or drained. Use these strategies, which are adapted from my book The Empath’s Survival Guide, to start healing your emotional triggers. In your journal, identify your top three emotional triggers which cause you to be most upset and thrown off balance. For instance, when someone criticizes your weight or appearance? Or if you don’t earn a certain income? Or perhaps you feel unlovable and undeserving of a healthy relationship? Write these down to clarify the aspects of yourself need to heal. Strategy 2. Track the trigger’s origin. Journal about where these triggers originated. For example, did your parents say that you were “too fat” or unattractive? Did a teacher tell you that you didn’t have what it takes to succeed in school? Or were you neglected by your family, so you grew up feeling un-loveable. Knowing where your triggers come from allows you to know yourself better. Strategy 3. Reprogram negative beliefs. Start with one trigger that has the least emotional charge and begin to compassionately reprogram it. Tell yourself, “This is not reality”. What’s actually true is, “I am loveable, capable and smart.” Substitute the negative belief with a positive, more realistic one. At the start of the healing process, you might need to “act-as-if” when you haven’t fully integrated a new positive belief. That’s okay. For instance, simply saying to someone, “I disagree. I fully deserve this great job” (even when you don’t fully believe that) paves the way for a deeper belief later on. Or “I am proud of my sensitivities. Please do not put them down.” Sometimes you need to practice a more enlightened behavior for it to sink in and become real. Strategy 5. Work with a therapist or coach. It’s often useful to seek guidance to help you find the root of the trigger and process the feelings involved. You may feel tremendous rage or sadness that your family never believed in you, so you never learned to believe in yourself. Expressing and releasing the feelings allows you to heal the trigger and move on to embrace your true power. Healing your triggers is liberating because you won’t be thrown off or drained by people’s inappropriate comments. They may still be annoying, but they won’t have the power to zap you. The more you heal your emotional triggers, the more emotionally free you will be.